This quote was spoken by James Madison in 1787, over 200 years ago, yet is more relevant than ever. 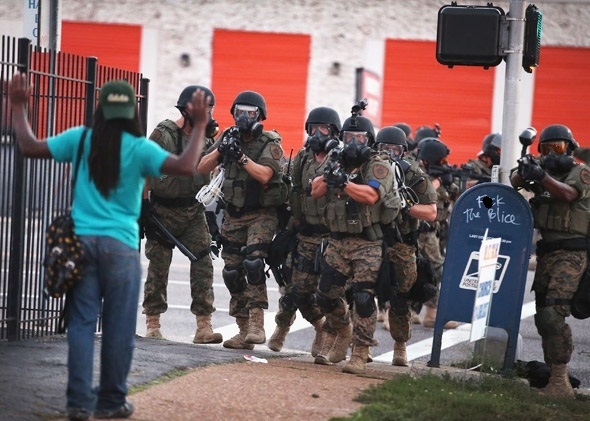 In 2014 America, we have the equivalent of a standing army in the form of over-militarized police forces all across the country. Local police departments are now equipped with literal weapons of war, such as armored tanks and high powered weapons. These are pieces of equipment that were used to fight enemies overseas and should never be used domestically against American citizens. How did we get here? Look no further than the federal government. The Department of Defense disperses these weapons and vehicles via the 1033 Program. As noted in on the page, any local or state law enforcement agency is eligible to receive military weapons and vehicles. In fact, in 2013 alone, over half a billion dollars worth of equipment was given to local police. The justification, of course, is police safety and preparedness to deal with cases of civil unrest or terrorism attacks. In reality, the military equipment is being used to attack and intimidate peaceful protesters, journalists, and anyone else who may be in their way. 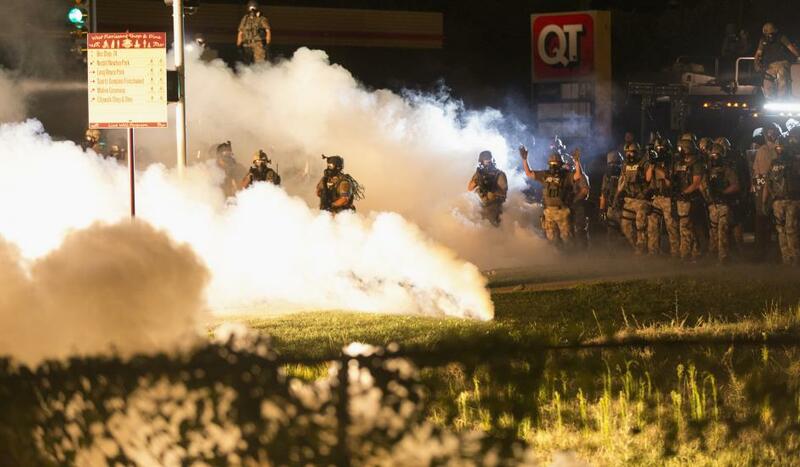 Which leads me to this point: Good police are being trained to turn their weapons against the American people. When you give police high powered weapons, tanks, armor, etc, every person you come in contact with is a potential target. The mentality of “us vs them” is running rampant, and our rights as humans are being obliterated in the process. Police and military are being taught that the new threat is not Al-Qaeda, but instead, domestic terrorists. Army manuals detail how to handle domestic uprisings and unrest, including lethal force against unarmed civilians. When the line between military and local law enforcement dissolves, the very foundation of our Constitutional Republic crumbles. The duty of local police is to serve the community and stop crime, not to abuse the First Amendment rights of American citizens and journalists. We must end this culture of militarization. We must turn to our friends and families and speak out against the abuses of our government. At the end of the day, these police officers are normal people just like you and I, and if we can change the hearts and minds of those individuals, we can start to turn the tide from oppression and towards liberty. August 20, 2014 in TLR. ← If Not Government, Then Who?